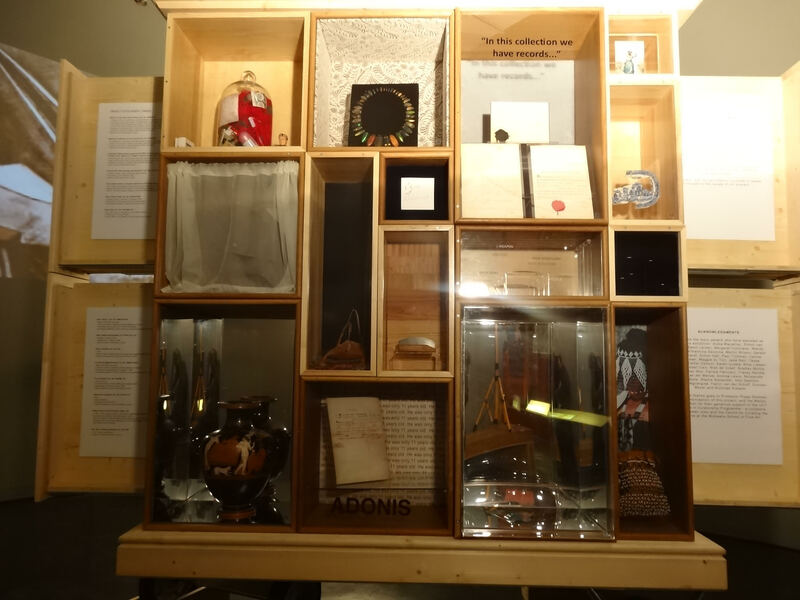 There are no restrictions on how an object can be displayed at the Iziko museums, except where the object is sensitive, sacred or has been unethically acquired. The hip bag is currently not on display, and if a member of the public would like to view it, they would have to apply in a written application and make an appointment. In Nama society, the women are responsible for the leather work, and they are responsible for tanning the leather and using it to make bags, karosses, mats and blankets made out of skin. This bag would have been made by a Nama woman, who lived amongst the Swartbooi Nama around Fransfontein in Namibia. The Bag Can Speak To Us…If Only We Would Listen. Ethnographic objects ask of us to be detectives. We must interrogate them, even as they jealously guard their answers. By deconstructing the ethnographic narrative of an object we try to piece together its story – a story that must grapple with the difficult presence of absence. When this Hip Bag was allocated a name and a classification in a museum, that absence was made concrete. A person was silenced, because all the information we know for sure about this bag rests on a small piece of card that stands for the object’s entire life story. Our search for that absent person begins with the clues that we observe, for example it is a hand-made bag which it is not like any other. It might be like others in style and form, but the fact that is has been made by a pair of hands, and not on an assembly line, provides a degree of specificity to the maker (a mother?) or, perhaps, maker and mender (a mother and her daughter). If we take the card out of the equation, we are left with a silence and the existential need to bring the voice back to life. What might be more beneficial to us is to think of the bag as if no one has made a classification for it yet. What does the bag reveal? Is its form and function obvious with regards to its own aesthetic? The bag carries its age on its surfaces – look just above the beadwork and you will see it is clear where someone stitched and repaired it; the same on the bottom left. These are the signs of the hands that cared for it. There is a hole at the top where it may have been snagged on something, perhaps a barbed wire fence, or an acacia tree. There are so many stories that circle around this bag, yet they were not recorded. These stories are like traces that only come alive when we start looking closer at the bag. It leads us to ask questions like: was this the first bag she ever had, or did she inherit it? Again, looking at the bag without any pre-conceptions is helpful because it blocks us from filling in the pieces of the puzzle too quickly. What do we know of the bag? The bag is made of an unknown animal skin, has beautiful beadwork and is quite fragile due to its age. The beads and their colours are what stood out to me at first; the criss-cross of the colours – black, green, pink, red and white. The beadwork reminded me of a type of shrub called a Confetti bush, which has contrasts between green, white and pink. Could this have been a supply bag, containing buchu (a type of herb known for its medicinal qualities and great spiritual importance)? Could it have been used to store tobacco, flint and tinder? Or something else? If we want to rethink this object, and move it from the ethnographic grip in which it finds itself, a good beginning is to view the bag as it is. Describe it. As soon as we look at it without prejudgement we open ourselves to it. We see what we might not have seen before. Then, once we have reunited it with its classification, that label no longer has the power of deciding what it is anymore. Once the object has been freed, it stays that way. We each had to choose an object for this object-study exercise. Once I had chosen my object, I was given a first look into the Iziko storeroom in which it resides. I was overwhelmed by the knowledge that each of these metal storage units contained; many objects, each with their own story. The bag I had chosen was in a cardboard box, resting on conservation paper and covered by its condition report. I glanced at the report, noting a caution by the conservator about the bag’s fragility. The label read: ‘woman’s hip bag, with plaiting with beads’. The beads and their colours stood out to me first, the criss-cross of the colours – black, green, pink, red and white. The beadwork reminded me of a shrub called a confetti bush, whose colours contrast between green, white and pink. 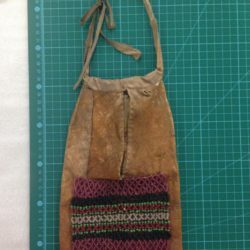 The bag was used as a supply bag, and would probably have contained buchu (a herb known for its medicinal qualities and great spiritual importance), tobacco, flint, tinder and more. If one looks just above the beadwork and also on the bottom left, it is clear that the bag has been stitched and repaired. These are traces of the hands that fixed it. There is a hole at the top where it looks like it got snagged on something, maybe a barbed wire fence or an acacia tree. This bag offers the traces of so many unrecorded stories, stories that only come alive when we look closely at it. It leads us to ask questions, such as, ‘Was this the first bag the woman ever had or did she inherit it?’ I began my research into the bag, and it became apparent to me that I was going to have to break away from my desire to classify it. The biography of this object changed abruptly the moment it was collected by anthropologist Agnes Winifred Hoernlé and travelled by wagon to Cape Town in 1923, where it became part of the University of Cape Town’s collection. 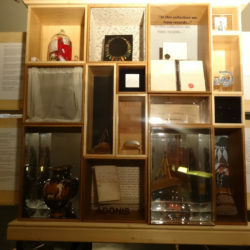 The acts of collecting, cataloguing and displaying the object are the very acts that silence its true story. Like a detective putting together the clues of a fragmented story, our entrypoint to the bag’s story begins with the only piece of paper that tells us where it is from. 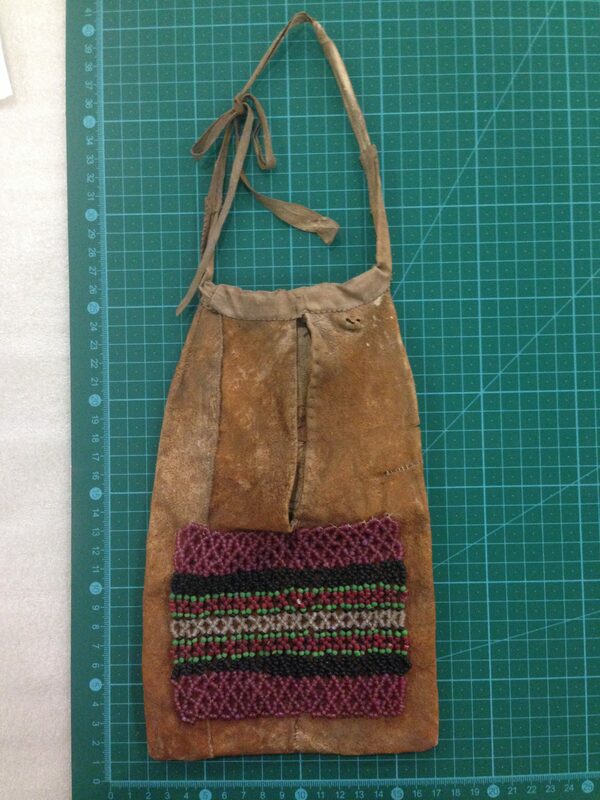 The accession card for the bag describes it as ‘Hip bag with beadwork’. It also reveals that it was presented by a Mrs. Hoernlé and originates from the Nama people in Fransfontein, in what is now north-west Namibia. The maker and/or owner of the bag are not listed, so we do not know who it belonged to before Mrs Hoernlé acquired it. Mrs Hoernlé was one of South Africa’s first anthropologists and went on expeditions to visit the Nama in Fransfontein, and one of the objects she brought back with her was this hip bag – she also obtained a skin for carrying a baby and a tortoise-shell powder pot, amongst other objects. The Nama, from Namaqua in southern Africa, are descendants of Khoikhoi herders, whose lands stretched north of the Orange River (Great Namaqualand) and south of the Orange River (Little Namaqualand). The Nama speak Khoe-Kwadi, which is part of the broader group of Khoikhoi languages. The groups were nomadic and moved with their herds, building their characteristic matjieshuise/mat houses. Nama herds were, at times, of a considerable size and were made up of fat-tailed sheep and long-horned cattle, but colonisation and local wars took their toll on the herds. The Nama in Namibia are composed of different groups, but this hip bag belonged to a woman of the Swartbooi Nama. Hoernlé’s (1925) body of work around the Nama seemed to centre on the social organisation of the group. She went on a romantic search for the remnants of true Nama culture, with the hope of studying and recording it as an anthropologist. Her work on the Nama reflected the history of the different groups, like that of the Swartbooi Nama. She concluded that the Nama had suffered significantly from colonialism and the local conflicts, dispossessed of their roaming pastures and forced to give up their nomadic way of life through the creation of reserves. According to Hoernlé, the Nama were a patriarchal society based on clan, gender and age, all of which affected a person’s status within the society. The anthropologist Leonhard Schultze wrote a report about an expedition in southern Africa (1907: 238) in which he explains the process of tanning leather, usually done by the Nama women. The animal that provided the leather for this bag is unknown, but the process of making leather begins with the skin of an animal being put on top of the matjieshuis to dry, with the fur facing up. This also keeps it out of the reach of dogs. When the skin is hard and dry, the juice from a succulent plant is applied to help soften it again, and the excess juice is poured off and the skin is rolled to prevent it from drying prematurely. At this point, it is unfurled just enough for what is needed, and the skin side is sprinkled with sandstone powder and rubbed with a fist-sized stone. When the sandstone has scraped off the last remaining flesh from the skin, it is left to dry a little longer. After this, the skin is continuously kneaded and then greased with soft fat that leaves the skin dry and supple. If the skin gets wet from the rain at this stage, it will become hard and brittle when it dries again. To prevent this, the skin is tanned with strips of bark of the Vachellia karroo (sweet thorn acacia) tree that have been crushed and soaked. The skin is then rolled up with the strips of bark and placed in lye (an alkali solution) made up of the strips of bark, where it is left to soak for an hour. The skin is then taken out of the solution, spread out in a shallow pit and covered with slightly moistened sand, where it is left for half an hour. The process ends with one man grasping the tail end of the skin and another man grasping the other end, as the women and children grasp the sides and tug the skin straight. Finally, the skin is left to dry in the sun, and when it is dry the skin is soft and rainproof and is a beautiful reddish brown on the inside. The leather used to make the bag may have been made this way. This bag reveals a deep silence that is hard to ignore. A complicated process takes place when we try to unravel an object from a label. For me, the bag feels trapped and oppressed, and these feelings evoke an anger in me when I reflect on the anthropological realm of this object, which was once looked after and cared for, but which now sits largely forgotten in a storeroom. This method of archiving and collecting has led us to think of objects as static representatives of an ideal. It overlooks personal narratives – this bag belonged to a particular woman, a particular woman chose the pattern and the colour of the beads… a biography is reflected only when we look past the anthropology or, even better, when we suspend it. The bag is embedded with profound problems, as well as the historical legacy of anthropology and colonialism. Edward Said’s book Orientalism deconstructs the way the west has viewed the east over centuries, and Said explains that the discourse of the Orient reflects more the West’s power over the Orient than being a real discourse, which, Said (1978: 6) notes “… in its academic or scholarly form, it claims to be”. Similarly, in southern Africa, a groups and individuals have been studied in an ahistorical way that reveals and reinforces the power of the colonisers over the colonised. In other words, when we look at the bag in a storeroom, out of place, we have to understand that it now serves as a contributor to a body of knowledge – anthropology – and is no longer for the woman who put tobacco in it; the oils from her skin perhaps rubbing into the bag every time. The process of ‘studying groups,’ especially in the early 20th century, was seen as scientific and necessary for the colonial experience, however, these expeditions regularly denied the humanity of the person or group under study in the pursuit of ‘understanding them’. Creating distinctions between groups helped to reinforce the power relationships that already existed. In other words, we see the creation of a discourse of power and subjugation. When Hoernlé or Schultze went out to study the distinctions between people, they either intentionally (Schultze) or unintentionally reinforced their power over the Nama as subjects to be studied, measured and prodded, and that culminated in their understanding of the groups of people. During Hoernlé’s first expedition to the Nama, she used ‘scientific methods’ that elicited resistance from the Nama, who refused to be ‘laboratory subjects’ and did not want her instruments to measure their heads and limbs. Their resistance was a source of deep frustration, but the reasons for their resistance were not apparent to her. When Hoernlé returned to the Nama in 1922–1923, her methods had changed and her approach was based around a narrative of kinship – this time she sought to get closer to the Nama and her approach was more empathic. Did she get close to the woman who made the bag or whose bag it was? When this bag left the person who stitched it, used it, left her traces on it, was its purpose subverted to meet Hoernlé’s hopes for science, exploration and fame? The bag is physically and existentially locked in this time of study, but its importance can be affected by how we decide to view it and what stories we decide to tell. We must think differently to challenge knowledge and history and to awaken our understanding that these objects are not static but political, although historical accounts claim objectivity. This hip bag is not just an ethnographic object – it can be more potent than that. When we reflect on it, we can think about who made it, who owned it and how it came to be separated from its original users. The bag now requires us to think of it differently and to be critical in our thought. We should think about a Nama woman who lived, who had a name, who had a story. We know that great care was taken to make this bag, reflected in the stitching and the beadwork. 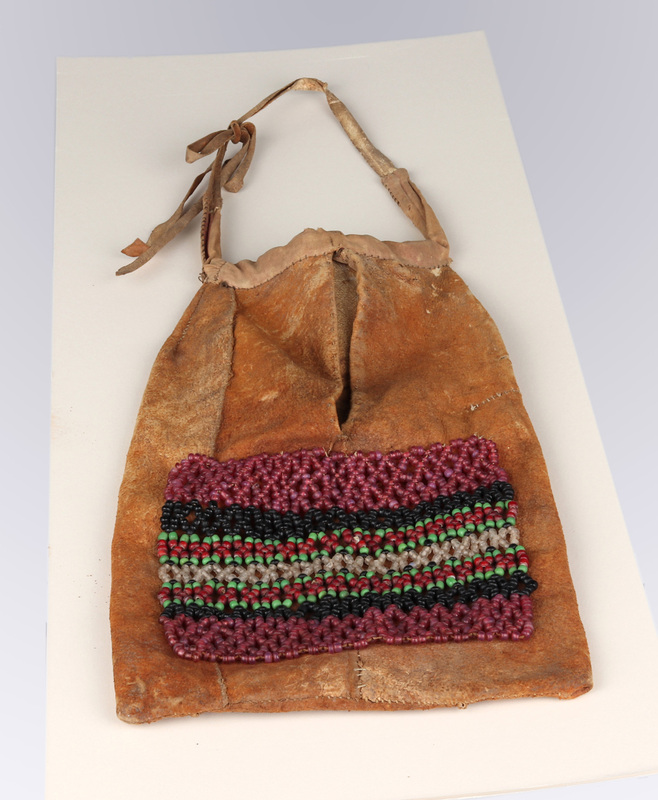 After all the years of this bag being displaced and locked away, if we look closely we see a trace of the Nama women who made it or wore it – in the tears and the stitches, in the pattern and colours of the beads – something which cannot be taken away. Bank, A., 2016. Feminizing the Foundational Narrative: The Collaborative Anthropology of Winifred Tucker Hoernlé (1885–1960). In: Pioneers of the Field. Cambridge: Cambridge Univesity Press. 15–63. Boonzaier, E., C. Malherbe, A. Smith & P. Berens. 1996. The Cape Herders: A History of the KhoiKhoi of Southern Africa. Cape Town: David Philip. Bredekamp, H. C. J. 1997. Construction and Collapse of a Hernnhut Mission Community at the Cape, 1737–1743. Kronos 24: 46–61. Brown, B. 2001. Thing Theory. Critical Inquiry 28(1): 1–22. Brown, B. 2010. 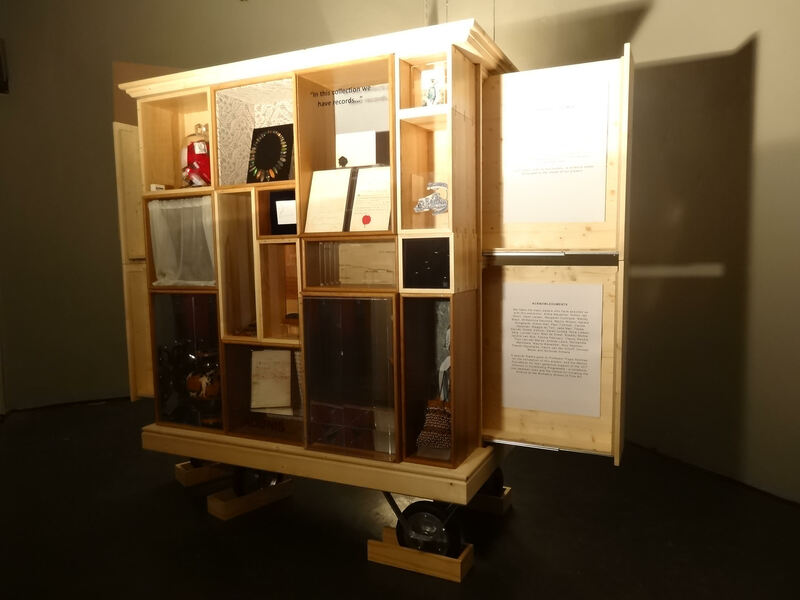 Objects, Others and Us (The Refabrication of Things). Critical Inquiry 36(2): 183–217. Carstens, P., G. Klinghardt and M. West (eds). 1987. Trails in the Thirstland: The Anthropological Diaries of Winifred Hoernlé. Cape Town: Centre for African Studies, University of Cape Town. Cedras, R. 2016. In the Halls of History: The Making and Unmaking of the Life-casts at the Ethnography Galleries of the Iziko Museum. Cape Town: UCT. Crehan, K. 1990. Review: Trails in the Thirstland: The Anthropological Diaries of Winifred Hoernlé by Peter Carstens, Gerald Klinghardt and Martin West. Journal of Southern African Studies 16(4): 775–776. Davenport, R. and C. Saunders. 2000. South Africa: A Modern History. London: Macmillan . Gosden, C. and Y. Marshall. 1999. The Cultural Biography of Objects. World Archeaology 31(2): 169–178. Hoernlé, A. W. 1925. The Social Organisation of the Nama Hottentots of South West Africa. American Anthropologist 27(1): 1–24. Schultze, L. 1907. Aus Namaland und Kalahari. Bericht an die Kgl. preuss. akademie der wissenschaften zu Berlin über eine forschungsreise im westlichen und zentralen Südafrika, ausgeführt in den jahren 1903–1905. Jena: Gustav Fischer. There are no known alternative routes up until present. 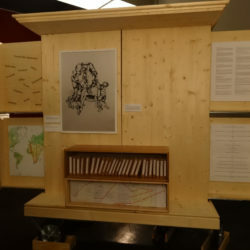 Nama Hut Display, Ethnography Gallery, Iziko South African Museum, 1972-2017. Bank, A., 2016. Feminizing the foundational narrative: the collaborative anthropology of Winifred Tucker Hoernlé (1885-1960). In: Pioneers of the Field. Cambridge: Cambridge Univesity Press, pp. 15-63. Boonzaier, E., Malherbe, C., Smith, A. & Berens, P., 1996. The Cape Herders, A History of the KhoiKhoi of Southern Africa. Cape Town: David Phillip. Bredekamp, H. C. J., 1997. Construction and Collapse of a Hernnhut Mission Community at the Cape, 1737-1743. Kronos, Issue 24, pp. 46-61. Brown, B., 2001. Thing Theory. Critical Inquiry, 28(1), pp. 1-22. Brown, B., 2010. 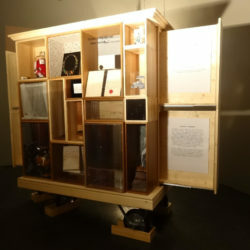 Objects, Others and Us (The Refabrication of Things). Critical Inquiry, 36(2), pp. 183-217. Cedras, R.-. L., 2016. In the Halls of History: The Making and Unmaking of the Life-casts at the Ethnography Galleries of the Iziko Museum. Cape Town: UCT. Crehan, K., 1990. Review: Trails in the Thirstland: The Anthropological Diaries of Winifred Hoernlé by Peter Carstens, Gerald Klinghardt and Martin West. Journal of Southern African Studies, 16(4), pp. 775-776. Davenport, R. & Saunders, C., 2000. South Africa: A Modern History. Houndmills, Basingstoke, Hampshire and London: Macmillan Press LTD.
Gosden, C. & Marshall, Y., 1999. The Cultural Biography of Objects. World Archeaology, 31(2), pp. 169-178. Hoernlé, A. W., 1925. The Social Organization of the Nama Hottentots of South West Africa. American Anthropologist, 27(1), pp. 1-24. Hoernlé, A. W., 1987. 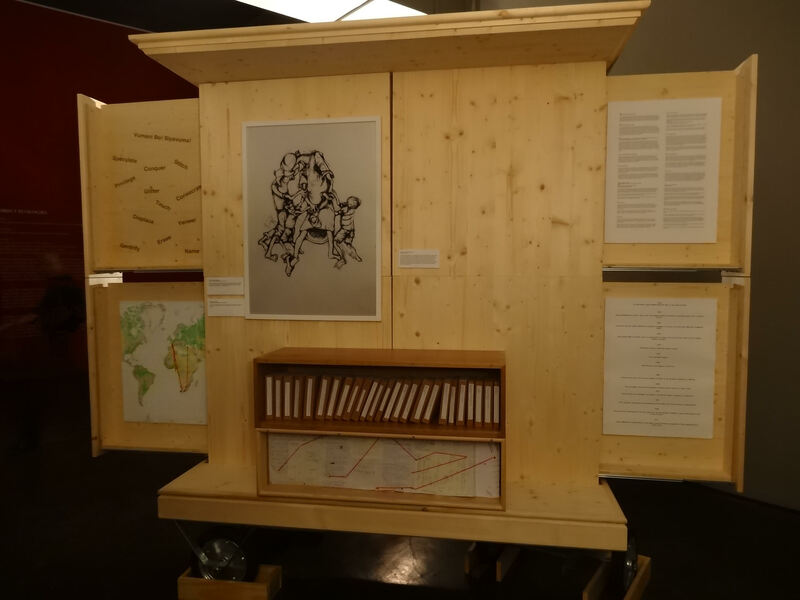 Trails in the Thirstland: the anthropological diaries of Winifred Hoernlé. Cape Town: Centre for African Studies, University of Cape Town. Said, E. W., 1978. Orientalism. New York: Vintage Books. Schultze, L., 1907. Aus Namaland und Kalahari. Bericht an die Kgl. preuss. akademie der wissenschaften zu Berlin über eine forschungsreise im westlichen und zentralen Südafrika, ausgeführt in den jahren 1903-1905. Jena: Gustav Fischer.